The Acadia Community Blog – Page 3 – Discover Life in Balance, in Acadia. Now that everyone has had a chance to recover from their Thanksgiving feasts, we are ready to prepare for the Christmas season. The most noticeable sign that “tis the season” is the reemergence of lights, tinsel, and wreathes around the homes of Greenville. Anyone in the upstate will tell you, though, that one of the brightest displays can be found at the Roper Mountain Science Center. The RMSC is a year-round treat, offering the perfect place for school field trips or more spontaneous visits. With their planetarium, Butterfly Adventure, and summer camp- to name just a few of their exhibits- visitors have plenty of ways to enjoy learning about the natural world. From Thanksgiving to December 30, however, it’s hard to focus on anything except their spectacular Christmas lights display. 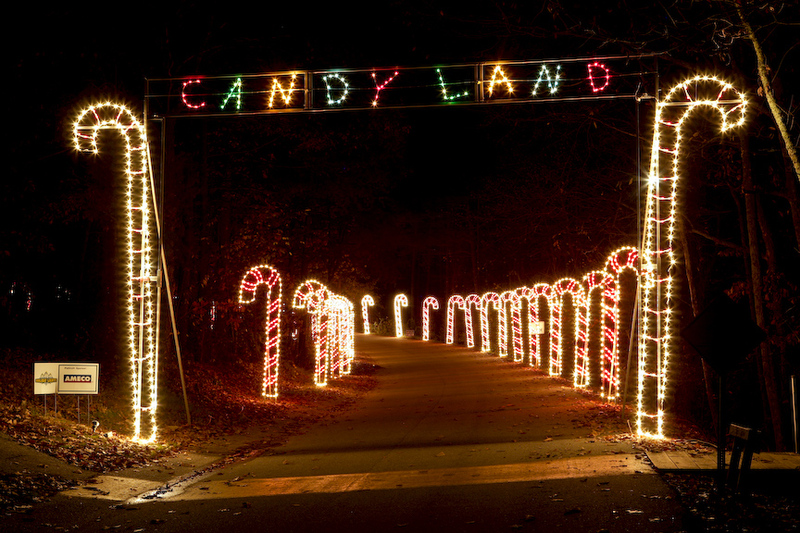 The Roper Mountain Holiday Lights have been a Greenville tradition for 24 years, raising over 2.4 million dollars for community charities. 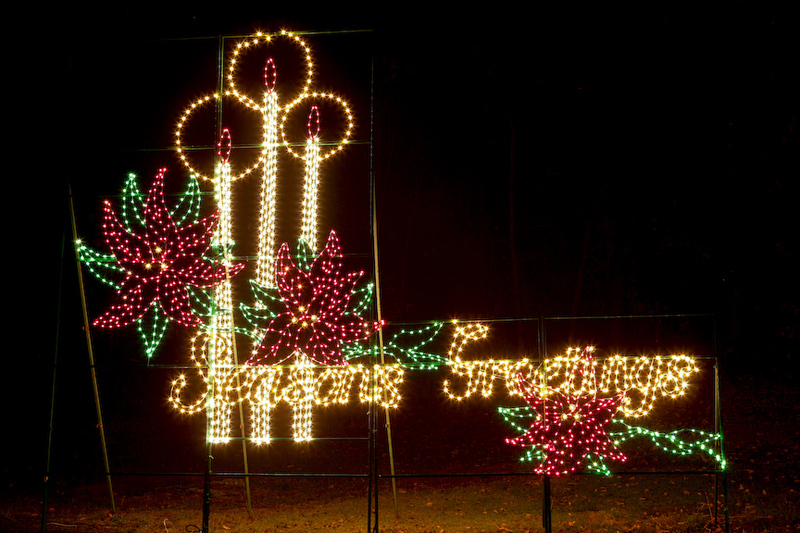 You can enjoy the sights while giving back to community from 6 to 10 PM every night until the holidays are over. 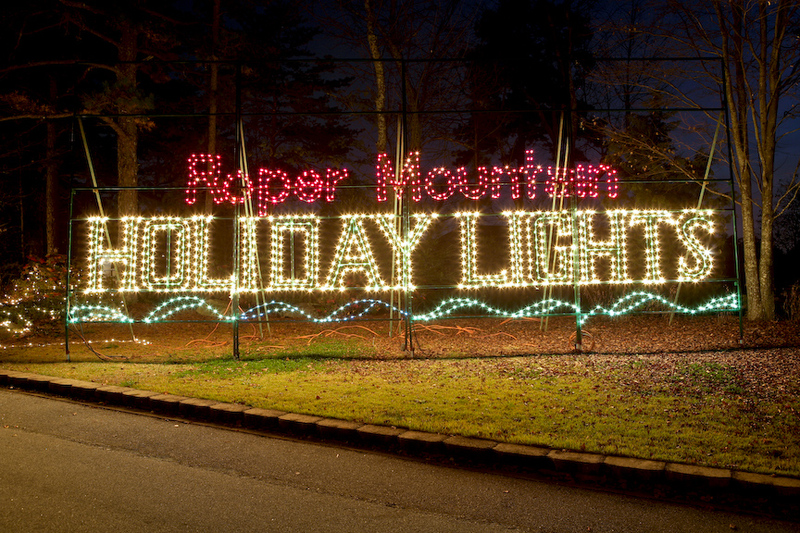 For more information on Roper Mountain Holiday Lights, you can visit them at their website here, and be sure to tune in every Thursday for more Acadian Discoveries. One of the annual special events hosted in Downtown Greenville, the Poinsettia Christmas Parade is a family favorite. For over 75 years, the parade has entertained and ushered in the spirit of the holiday season in Greenville. This almost 1 mile stretch of Main Street allows for a large gathering of Greenvillians down the parade route. Fun for both adults and children, this extra special 2016 parade will feature Acadia’s Sandi Morris, Silver Olympic Medalist from the 2016 Rio Olympics, as Grand Marshal. This special holiday event is not one to miss, so be sure to mark your calendars for this Saturday December 3, 2016 from 6 to 7:30 p.m. If you would like to learn more about the parade, you can visit their website here. What a beautiful day for a run! We’d like to thank all of the Acadians for graciously hosting the Piedmont Fire Dept. and its charity Grinch 5K Run this morning in our Acadia Community. Chief Wallace of the Piedmont Fire Dept. declared the day a success, with over 50 runners, raising nearly $2,000.00 for the department and its community programs. Chief Wallace and all of the volunteers wanted to thank Acadia for the beautiful venue and great support that the runners received. America is a truly unique country when it comes to travel options. Many foreign visitors are surprised by the sheer size and variety of experiences found in the states. However, those of us that live in the US often go our whole lives only seeing a small fraction of the country. With so much space in the middle, it is easier to start with the larger, more famous cities found on our coasts. Since we are already near the eastern side of the equation here in Acadia, we should turn our attention westward to the Pacific coast. While Washington and Oregon have plenty to offer, it is impossible to ignore California. Spanning two-thirds of the western sea board, California is the third largest land area and most populous state in the union. It is basically impossible to see all the state has to offer in one visit, so it is better to focus on one area to start. For many travelers with California on the brain, the first thing that jumps to mind is Hollywood, the home of the stars in Los Angeles. Californians have a reputation of being laid back, living life at a slower pace. One visit to LA will show you the cause: the traffic. It takes at least 30 minutes to an hour to get anywhere around LA because most of your travel time is spent on one of the main highways; that is why Californians refer to them as “The 405” or “The 101.” Once you relegate yourself to this fact of life, though, it is fairly easy to plan around and stay relaxed. When you do make it off of the highway, the various cities that make up the greater LA area are dominated by long boulevards that stretch from one side of the valley to the other. This makes it fairly easy to actually get around a given area; the trick is getting there first. It is easy to tell when you are in Hollywood because of the famous sign overlooking the valley. It is hard to resist a trip down the Walk of Fame to find the footprints of your favorite stars of the movie or music variety. Nestled in the hills is the Hollywood Bowl, one of the largest natural amphitheaters in the world. If you have a chance to see a show there, take it. There is not a bad seat in the house because the natural acoustics carry the sound all the way to the back rows, and the bowl shape gives everyone a direct view of the stage. Nearby, you can drive through the neighborhoods in Beverly Hills. There are several vantage points that offer stunning views of the valleys on either side of the mountains, as well as the often stunning homes found on the drive up. These famous neighborhoods, along with Bel-Air, Silver Lake, and several others, are connected by Sunset Boulevard, which runs from Downtown LA to the Pacific coast. Once you are able to break yourself away from the staggering amount of sightseeing, shopping, and eating opportunities in LA, you can quickly find even more in the surrounding areas. Burbank is the home of several major studios, most notably Warner Bros. Entertainment. If you sign up in time, you can get free tickets to a tapping of some of your favorite shows, such as Conan O’Brian. Two great coastal options are Venice Beach and Santa Monica. The Venice Beach boardwalk is a mecca for bodybuilders, street basketballers, and souvenir shoppers. At one end of the boardwalk is the famous Muscle Beach and several basketball, paddle tennis, and volleyball courts. The rest of the promenade is dominated by vendors of every stripe selling kitschy t-shirts, jewelry, artwork, and other good, along with musicians and performers surrounded by spectators. Santa Monica, located at the end of Route 66, is known for its eponymous pier, featuring amusement park rides, snacks, and even more souvenirs. It also offers a beautiful view of the California coast overlooked by an impressive mountain range that almost seems to touch the water’s edge. If you are excited about the prospect of traveling west, please visit the Acadia Travel Concierge here for options to customize your experience. Acadians are an active bunch, constantly planning exciting events at our many amenities. Still, as much as the neighborhood and Greenville at large have to offer, it’s sometimes nice to range farther afield. The key to an ideal vacation is proper planning, which is why we are fortunate to have our own Acadia Travel Concierge. Ray Ramage, a lifelong friend of the Freeman family, is a true travel expert with over 20 years of professional experience. Acadian residents and lot owners are invited to join Ray and his wife Laura this Saturday the 12th at 6:30 PM for a relaxing wine and cheese tasting hosted by our own Mary Freeman at 1 Kellers Gate Court. While Mr. Ramage is equipped to plan any vacation you could think of, the specific topic of conversation is the exciting Backroads program. Backroads is focused on a more exciting, active travel style. While there should still be plenty of wining and dining, you’ll be able to burn off the calories and explore a different side of a new country by biking, hiking, kayaking, or snowshoeing through the path less traveled. Please join us tomorrow Saturday, November 12th and experience a wonderful atmosphere while learning about this exciting new program. To learn more about the Acadia Travel Concierge, visit there site here. After a long three months of working on some new projects, our blog will be returning to its regular series schedule for Tuesdays and Thursdays. We apologize for the lack of content for the past three months, but we have been working on some great new products here in Acadia. We thank you all for tuning into our blog each week for continual updates about Acadia, and can’t wait to show you what we have rolling out next! During the weekend, most of us feel the craving for breakfast food, something which is impossible to get when the weekend generally offers us the only chance to sleep in. Not so with Passerelle Bistro in Downtown Greenville. The newest in the line of Table 301 restaurants in Downtown Greenville, Passerelle Bistro offers a fusion of French influenced local cuisine. Passerelle is located at the heart of Falls Park, offering a spectacular view of both Falls Park and Liberty Bridge. On Saturday and Sunday, Passerelle delivers a full brunch menu from 10 am to 3 pm, a menu which encompasses everything from their Ham and Arugula Omelette to their Ratatouille Baguette. The perfect combination of breakfast and lunch, Passerelle is sure to please even the most selective of palates. To see the different menus, foods and events that Passerelle has to partake in, visit them at their website here, and be sure to check us out every Thursday for our Acadian Discoveries series. Acadia has an Olympian! Pole vaulter Sandi Morris will be representing the United States in the 2016 Summer Olympics in Rio de Janeiro, Brazil. Congratulations to Sandi and the entire Morris family. You make the Acadia Community proud, and truly display the diversity of families that live in Acadia! Visit the Greenville Journal article here, to learn more about Sandi Morris’ road to Rio. One of the perks of living in upstate South Carolina is the bevy of lakes within striking distance. As hot as the summers can get, we frequently take advantage of this fact. While there are many lakes to choose from, the top three contenders around Greenville are Lake Keowee, Lake Jocasse, and Lake Hartwell. Lake Keowee is about 45 minutes away, just past Clemson. Like many of our lakes, including Jocasse and Hartwell, Keowee is a man-made reservoir used to generate hydroelectric energy. Spanning nearly 29 square miles, it offers plenty of room for all of your boating needs. Be sure to ask around about the Jumping Rock located somewhere towards the middle of the lake. Lake Jocasse, located about an hour away from Greenville, covers just shy of 12 square miles, but what it lacks in breadth, it more than makes up for with depth. It was created by flooding a large valley, reaching a maximum depth of 300 feet. If you are a trained scuba diver, you’ll be able to hone your craft without driving 4 hours to the ocean. Obviously, less experienced swimmers should stay closer to shore. Lake Hartwell holds a special appeal for us Acadians. For one, it is the closest lake, only 25-30 minutes away on the edge of Anderson. More telling, though, is the fact that Portman Marina is owned by David Freeman, the brother of Acadia’s founder and developer, Caleb Freeman. Fortunately, the lake and marina are excellent in their own rights, nepotism aside. Hartwell spans 87.5 square miles, stretching from South Carolina to Georgia. After a long day on the water, Portman Marina offers two fantastic restaurants to choose from. The Galley is its oldest establishment, offering a wide array of surf and turf, as well as a wood fire oven. However, the Freeman family’s personal favorite is Nami, Portman’s Asian bistro. Run by head chef Fukahara, Nami provides the absolute best sushi in the upstate, along with equally delicious entrees and small dishes. Definitely try their gyoza, tempura, and Dynamite Yaki. To finish off your evening, you can fuel the fires of the Crème Brule recipe war between The Galley and Nami. They are both quite nice, so even if you can’t decide which is your favorite, you’ll be the real winner. To learn more about the array of lakes around the Upstate, visit the listings on the State Park Map here, or visit the Hartwell, Jocassee and Keowee sites. Be sure to tune into the Acadia Community Blog every Thursday to learn more about the wonderful adventures all around us.